Make Sea travels free of charge. With the Travel Package Bonus your travel time will be reduced by 50% for both Land and Sea travels. 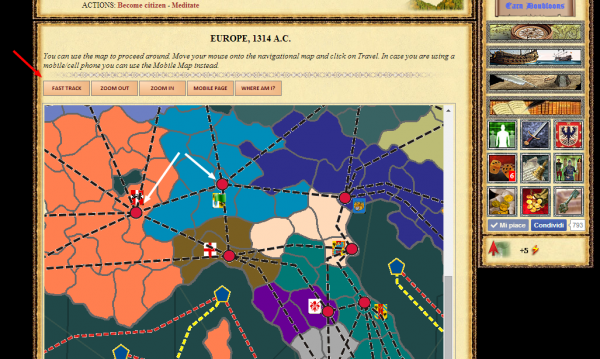 The Sea and Land Fast Track allows you use a privileged track that will let you travel between distant nodes with just few clicks. For example if to go from region A to region E you need to travel A -> B -> C -> D -> E, with the Travel Package, if there is a track A -> E you will need to just make one click and one action. 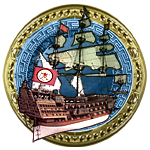 The Sea Travel costs 1 silver coin per node, but with the Travel Package you will be able to travel on ships for free. This page was last modified on 19 March 2017, at 17:55.